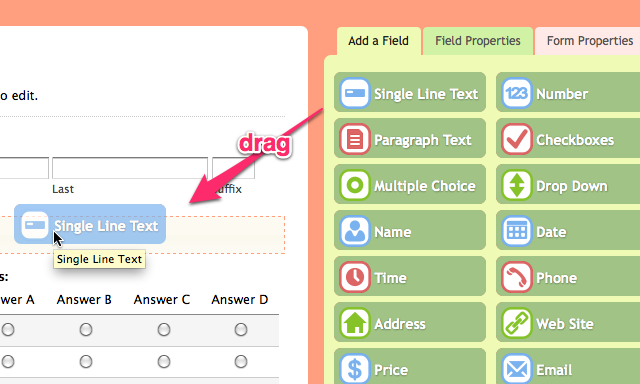 [v3.4 Preview] Conditional Logic for Fields and Pages! Using this new feature, you’ll be able to dynamically show/hide fields based on selections being made by the user and/or to skip to a certain page. Very useful if you need to display different kinds of forms to different kinds of people without creating a lot of forms or having a single form with too many fields. Creating logic for your form might sound complex. However, we’ve made it as easy as possible so that you won’t need to do any programming. So, no worries! You can either SHOW or HIDE a field based on one or more conditions. The conditions are evaluated instantly. 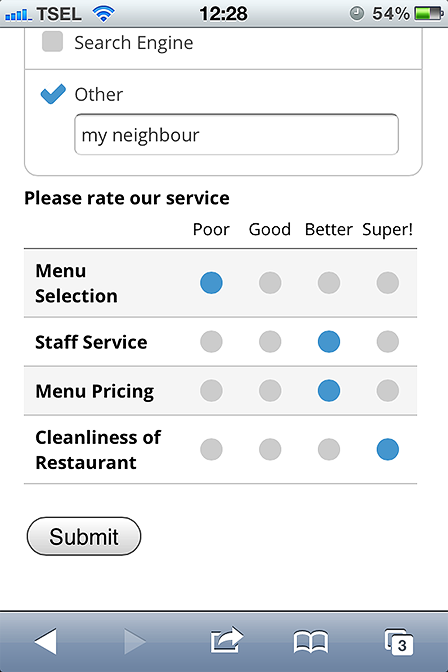 Each time a user makes a selection or enters any text into the field, the conditions are being evaluated instantly and the associated field will be shown or hidden immediately. Creating the conditions for a field are as simple as selecting the fields from the dropdown menu and defining the comparison value. This functionality allows your users to skip directly to a certain page based on their choices. Useful when you have multipage forms and need to display a different set of pages based on user choices or to skip a payment page and go directly to the success page. Similar to the field logic, you need to define the conditions to skip to certain page. This functionality is available within v3.4, which should be released before the end of this month (January) and is a FREE update for all v3 owners! Hi folks! 😀 During the last few months, we’ve been working hard to add a bunch of new features into MachForm and I would like to share one of the new feature we’ve been working on. As you might aware already, most people nowadays aren’t just using the desktop computer to browse websites. Mobile devices, such as the iPhone, iPad or Android devices are being used more and more. 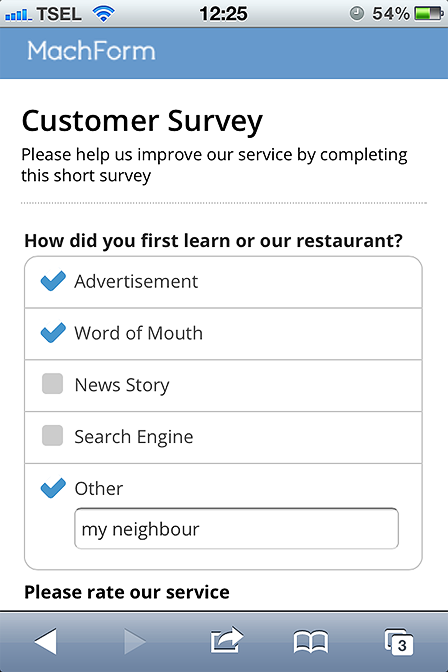 It looks great, but not so well on mobile devices, because you need to zoom into the field to start filling out the form. Within the next update (v3.4), we’ve added built-in support to all your forms to automagically display mobile-friendly version of your form. There is no extra effort needed on your side. All your forms will automatically display mobile-friendly version when being displayed through small devices. All the fields are being optimized for touch devices. Text fields are having larger sizes, checkboxes and multiple choices are being morphed into bars, form borders being removed to save space, etc. 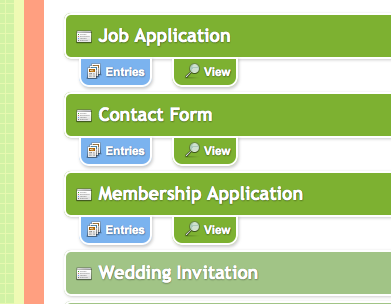 In short, your forms will looks totally awesome on the desktop or mobile devices! Yay! 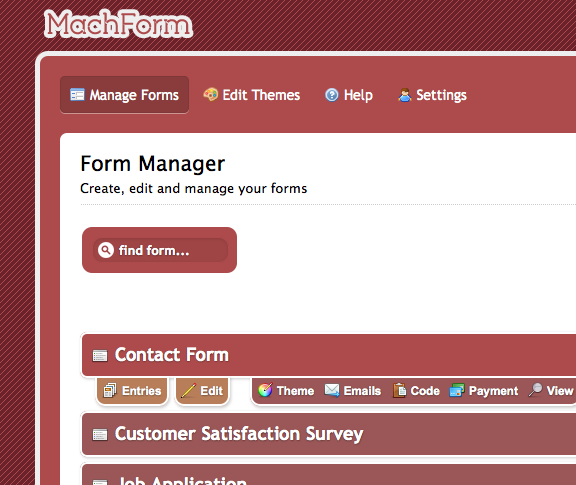 MachForm version 3.3 is now available for downloads on Members Area. This version contain one major new feature, several improvements and many bugfixes! [v3.3 Preview] Multi-User is coming! Howdy! 😀 We’re very excited to let you know that one of the most requested feature, that is multi-user machform, will be coming within the next update (v3.3) of MachForm! You will be able to add more users to login to your MachForm and depends on the permissions you define for each user, they can have specific limited permissions to specific forms or even complete access to all forms. When you add a new user, you will be prompted to define privileges and permissions. More on this below. Privileges are basically super powers to let the users to create new things. 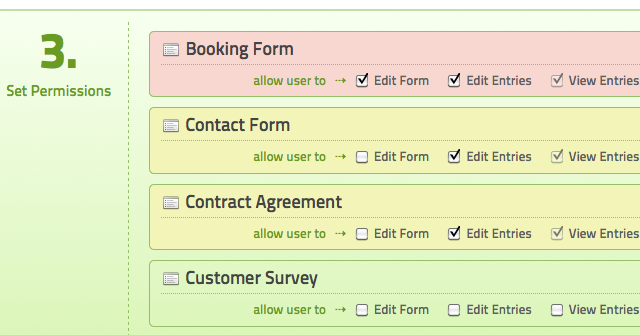 There are 3 privileges you can assign for each user (create new forms, create new themes, administer MachForm). The last privileges (administer MachForm) is the most powerful one. User having this privilege is basically having full control over your MachForm. In addition to privileges, you can also define custom permissions to individual forms. For each form, there are 3 permissions that can be assigned to the user, they are Edit Form, Edit Entries and View Entries. This way you will be able to add user with a read-only access to one or more forms, and many other possibilities! 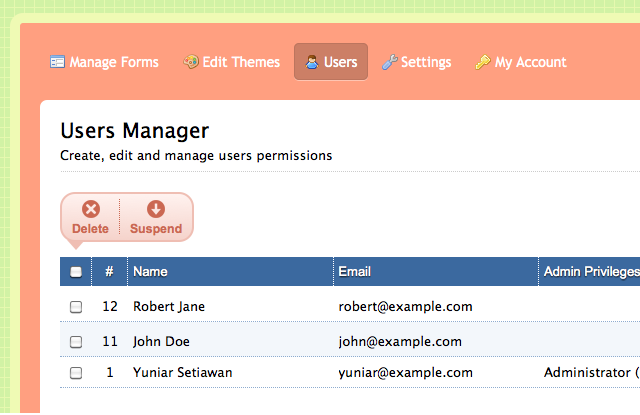 Below is an example screenshot of the form manager seen by a user with only View Entries permission to some forms. 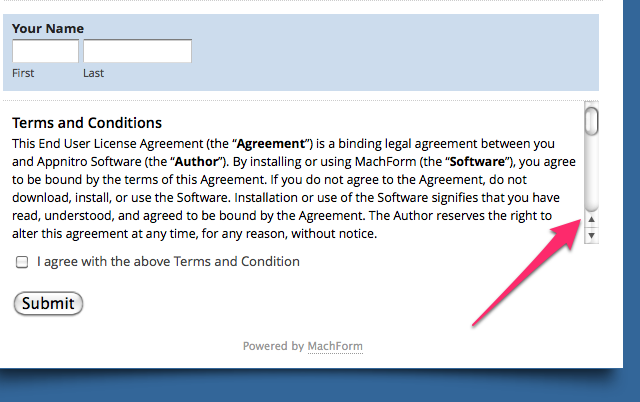 Depends on the license type, each license will have different limit on the number of users you can add for each installation of MachForm. Version 3.3 will be released this July and it’s a FREE update for all v3 owners! MachForm version 3.2 is now available for downloads on Members Area. This version contain several new features, improvements and many bugfixes! Option to display guidelines below the field. Electronic Signature on Your Forms! On our previous blog post, we explained the improved functionality of Section Break field to display terms and agreement paragraph into your form. Now, the next question is, how do I add an electronic signature to the form? 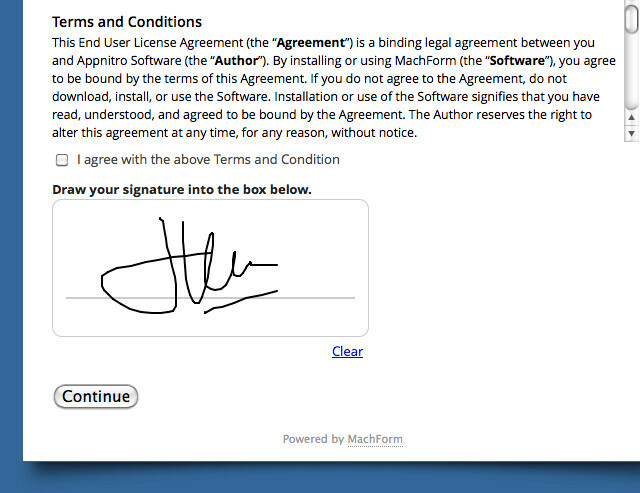 The most common way to add “signature” on the web (and perfectly legal) is by adding a checkbox of some sort to your form, asking the user to agree to your terms and conditions. 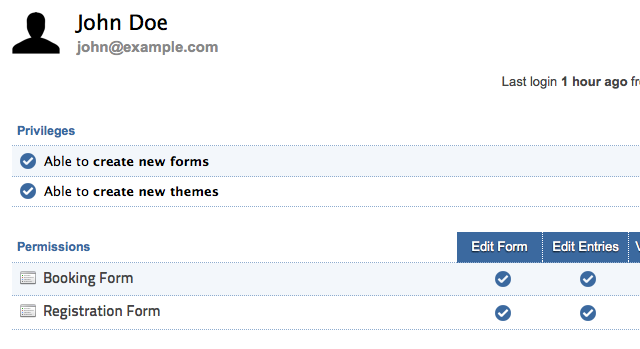 Or you can also add Full Name field into the form and ask the user to type their full name as their signature. 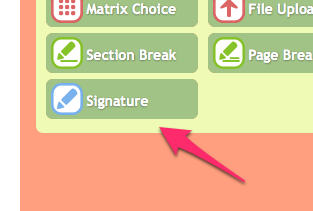 The new MachForm (v3.2) allows you to do the above and going further with the new Signature field. And the good news is, this signature field works on computers or touch devices! Your users will be able to use their mouse to draw their signature or use their finger on touch devices (iPhone, iPad, etc). Ever need to create a contract form or an agreement form that need to display a long terms and agreement? If you have done this previously, most likely you ended up with a long form. 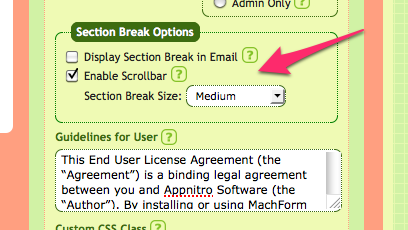 Most of you most likely already know that you can use Section Break field to insert any amount of text into your form. Within the release of MachForm 3.2 we’ve improved the functionality of Section Break field and added an option to allow the section break to display vertical scrollbar. This is very useful to display large amount of text, so that you still be able to have a short and simple form, yet all the text still being displayed within the form. [v3.2 Preview] New Admin Themes! MachForm 3.2 is on the horizon and going to be released by the end of this month. One of the new feature we added is that MachForm now has admin panel themes! While we really love the current admin theme (orange), we realized that not everybody is on the same boat regarding this, since color is pretty much personal preference. So we added new admin panel themes based on your feedback. It’s not just one or two, we added five new themes! You will be able to change the admin panel theme easily from the settings page. 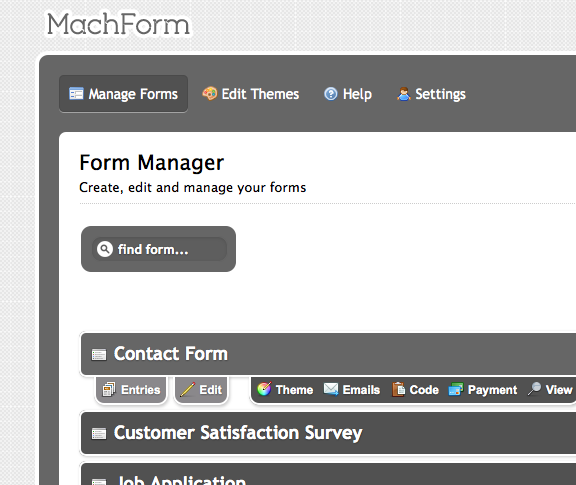 MachForm version 3.1 is now available for downloads on Members Area. This version is the first minor update release within v3.x branch, which contains several bugfixes and one new feature. Feature: Added Russian and Estonian language for the form. If you are currently using v3.0, download the package from Member Area. Upload the whole machform folder and files into your site folder, overwriting your old machform files. The only exceptions are the “data” folder and config.php file. DO NOT overwrite them. Alternatively, you can simply update the files listed above. MachForm 3 is now available! 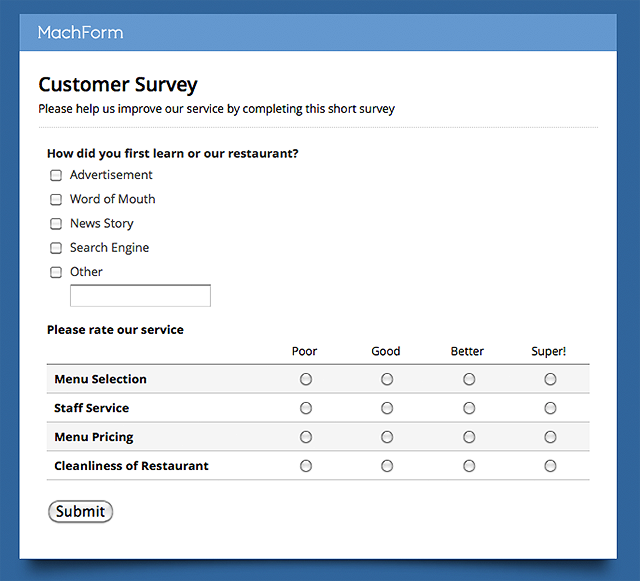 We’re very excited to announce the immediate availability of MachForm 3! This release is a huge improvement over previous version which made MachForm even more intuitive, powerful and fun. and display completion progress bars. Easily use your own colors or fonts. Packed with 20+ professional designs. payments instantly. No complex setup. completed form and resume later. For those who purchased any license within 2012, this upgrade is free of charge and you can download the upgrade from our Member Area. Simply login there to get the update and your license key. A huge “thank you” to our awesome users and beta testers for helping us define and test this release, we couldn’t have done it without you!